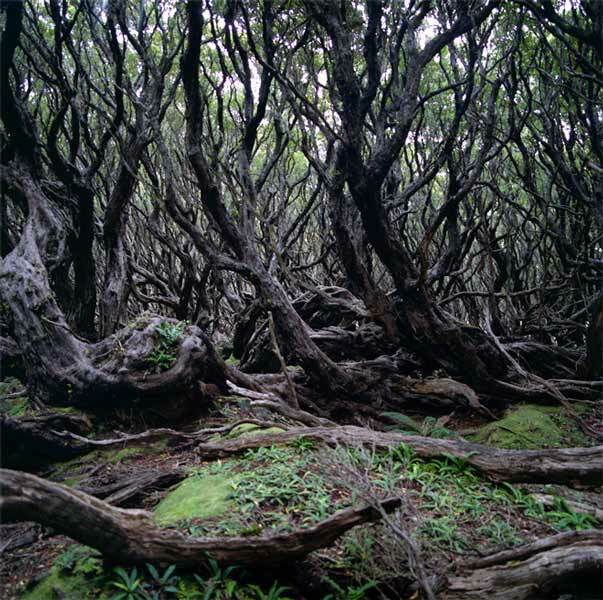 Beaten by the constant winds, the rātā forests which line the shores of the Auckland Islands form a contorted network of branches below and a compact canopy above. The southern rātā trees (Metrosideros umbellata) are rarely more than 20 metres in height. They are found up to an altitude of about 50 metres above sea level.